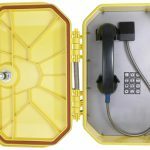 Cyberdata Secure Phone Case takes a Cisco DX80 and protects it from damage. The DX80 is housed in a steel enclosure with security screws holding down the stainless steel front cover. The screen protector is Acrylic. The handset and cord cable are designed for demanding environments. 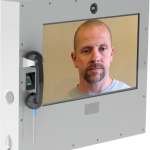 The Cisco 8865 Secure Phone Case takes a Cisco 8865 and protects it from damage. The Cisco 8865 is housed in a steel enclosure with security screws holding down the stainless steel front cover. The screen protector is replaceable Acrylic. The handset and cord cable are designed for demanding environments. 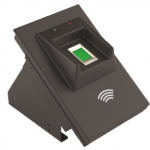 The SPAR II Networked RFID/Biometric Access Control Device is a PoE-powered, stand-alone RFID/ Biometric authentication device used for secure access control. 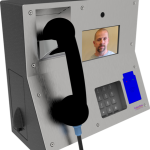 The CyberData SIP-based RFID/Keypad Secure Access Control endpoint uses the existing VoIP network infrastructure to securely unlock and lock gates or doors. It supports single and dual factor authentication. 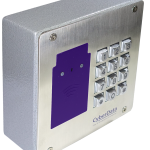 CyberData’s SIP compliant Weatherproof Keypad Phone is a PoE powered IP phone for environmentally demanding installations. 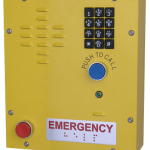 CyberData’s SIP Heavy Duty Emergency Keypad Call Station is a PoE powered IP phone for environmentally demanding installations. The enclosure is powder-coated for corrosion resistance. 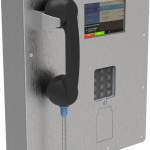 Fully compatible with most on-premise and hosted IP-PBX systems, the CyberData SIP Heavy Duty Emergency Keypad Call Station provides a heavy duty and industrial option for your VoIP project. The SIP Call Button is a Power over Ethernet (PoE 802.3af) device that can be mounted under a desk or in a discrete location. If an event takes place, the user depresses the button. The Call Button automatically makes a call to a pre-set phone or extension number. When the called number answers, the Call Button plays and repeats a stored audio file or streams one way audio to IP phone for silent listening. 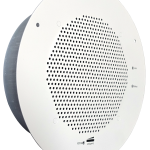 The CyberData SIP Speaker is the latest in IP technology. 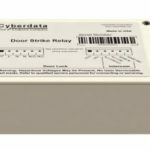 This Power over Ethernet (PoE 802.3af/802.3at) VoIP mass notification device has network-controlled speaker volume, simultaneous SIP and priority-based Multicast streaming, and integrates with both the CyberData Wall Mount and the CyberData Wall Mount Clock Kit. 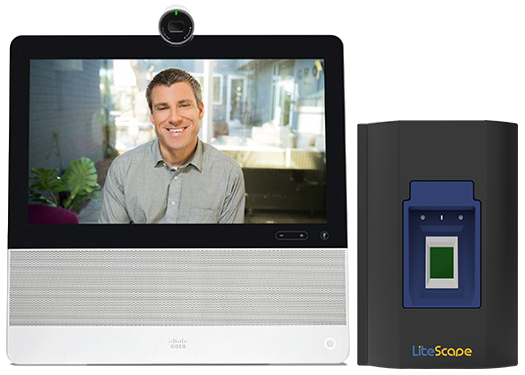 The speaker is compatible with most SIP-based IP PBX. 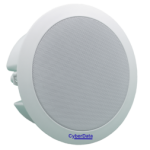 The CyberData Multicast Speaker is an economical Power-over-Ethernet (PoE 802.3af) and Voice-over-IP (VoIP) public address product. It easily connects to your PoE network with a single Ethernet cable connection. The speaker is capable of playing audio from any multicast source like the CyberData SIP Paging Server with Bell Scheduler (PN#011146).